It is with a heavy heart that we share this sad news. Our dear friend Nick Grant passed away peacefully on 4th November 2018 following a period of illness. Nick has been a constant friend to Arvon over many years, supporting the organisation, and the people involved in it, with kindness, generosity and financial expertise. His first connection with Arvon came about as a result of his friendship with Ted Hughes. The two men shared a passion for flyfishing and became firm friends. Nick would later credit Ted and Carol Hughes with introducing him to ‘a whole new world of the arts’. Ted Hughes had been involved in the Arvon Foundation since the early days and it was he who asked Nick to help keep Arvon’s finances in order with Nick eventually taking on the role of chairing the Finance Committee, steering the organisation’s finances, with David Pease, Arvon’s National Director at the helm. Nick had established the Duncan Lawrie private bank in 1971 becoming its Managing Director and later Chairman, retiring in 2001. In 1982 Nick agreed that Duncan Lawrie would contribute to the prize fund for the Arvon International Poetry Competition, helping to maintain the competition that had run for the first time two years earlier and that continued successfully for years to come. The bank also allowed Arvon free use of their boardroom for many years for trustee meetings and other events, a considerable benefit. 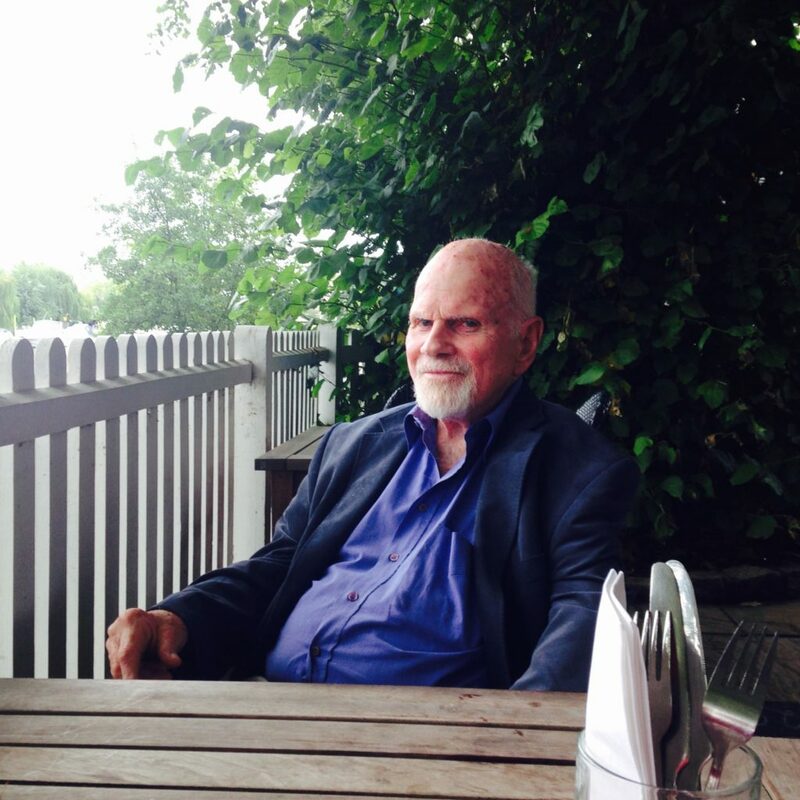 In the days since hearing the news and speaking with others who knew Nick through Arvon, the sentiments most often expressed have been ‘lovely man’, ‘kind and thoughtful’ ‘philanthropic to his core’, ‘charitable’, ‘caring’ and ‘mischievous’. Nick had a special talent for bringing people together, often over lunch, sometimes if he felt they needed help or if he felt that something good would come of it, and in this way charities flourished, books were published and enduring friendships initiated. As I write this I am aware that Nick would have felt somewhat embarrassed by these plaudits, preferring to be behind the scenes and out of the limelight yet always keen to make sure that others received the recognition they deserved. It’s difficult to encompass his contribution to Arvon but perhaps it is enough to say that over the years he supported the organisation with time and financial support in ways that included the provision of bursaries, financial management advice, support for numerous events and even offering his time to fill envelopes when we had onerous mailouts to do. Arvon was only one of the charitable organisations Nick supported. He served as a trustee and treasurer of the Jamyang Buddhist Centre from 2001 -2008 and over the same period he was also a trustee of the Farms for City Children charity set up by Clare and Michael Morpurgo. Nick’s charitable involvement began earlier in the mid 1980’s however, when he founded the St Clare Trust charity, supporting projects in developing countries. Over the years of conversation Nick would offer insights that I would at times dismiss but later realise he was correct. There is one occasion where he was wrong and I shall put that right here. At the end of his memoirs Nick writes: ‘My children and their children are the sole memorial to my having existed.’ Of course he also leaves a legacy of benefit, kindness and friendship. It’s been my privilege to meet some exceptional people through Arvon, good, kind people and Nick was most certainly one of those. Though a huge blow to the many friends Nick made through Arvon our loss does not compare with that of Nick’s family and we send our love and sympathy to Nick’s four daughters, Marianna, Jo, Sarah and Victoria and their families at this sad time.